Seizures, or convulsions, are the physical manifestations of abnormal electrical activity within the brain. Neurons, the cells that make up the brain and the nervous system, communicate with each other through electrical signals. When these signals misfire, they can cause a seizure. The manifestations of seizures include changes in behavior, abnormal movements or sensations, and changes in mental status, including confusion or loss of consciousness. One of the causes of seizures is low blood sodium levels. 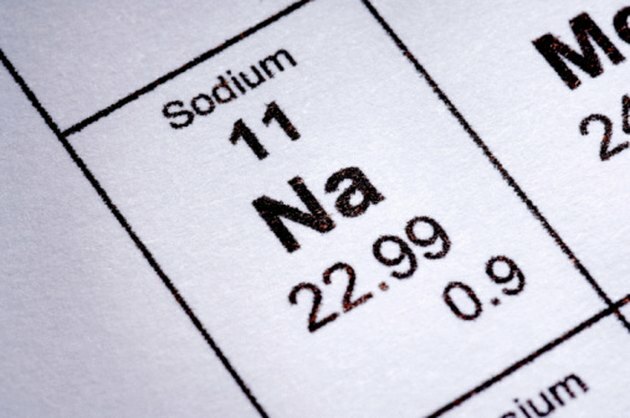 Sodium is an important element in maintaining the body's balance of fluids. Water usually goes to the areas of higher sodium concentration. The concentration of sodium is regulated by many factors, including various hormones from the brain and the kidneys. Hyponatremia is the medical term for the condition in which your sodium level falls below the normal range. When this happens, seizures can occur. The causes of hyponatremia vary, ranging from specific medical conditions to extreme water intake. According to the Mayo Clinic, common causes of hyponatremia include diuretics or water pills, which cause the body to excrete more sodium in the urine to eliminate excess fluid; excessive water intake during exercise; hormonal changes, for example, the syndrome of inappropriate anti-diuretic hormone, or SIADH, which causes excessive water retention; and dehydration with vomiting and diarrhea. A person with hyponatremia can suffer seizures from brain swelling. When the level of sodium in the blood drops, water flows into the brain, which maintains its own level of sodium, to balance the level of fluid and salt. This causes cerebral edema, or brain swelling. The brain cannot handle excess fluid because it is enclosed within the skull, which constrains any changes that might blunt the intake of extra fluid. This excess fluid disrupts the neurons' ability to transmit their electrical signals, resulting in a seizure. Treatment of a seizure caused by low sodium levels initially consists of making sure the person is able to maintain his airway, breathe on his own, and maintain appropriate blood flow to the tissues. Anti-seizure medicines can stop a convulsion, but correction of the underlying sodium level needs to happen next, to avoid a recurrence of the seizure. Correction of low sodium is done with intravenous fluids and close monitoring of urine output and brain activity. Water restriction is sometimes necessary to avoid further influx of fluids into the brain. Rapid correction of low sodium levels can also cause a seizure. This occurs because if you increased the blood sodium level rapidly, water leaves the brain quickly. The brain cannot adapt that quickly to changes in blood sodium level, so the excess fluid leaving the brain causes brain shrinkage, which can also trigger a seizure. What Are the Dangers of Low Sodium Levels?